Fall Classes On Sale Now! Registration for most of my autumn classes have begun! See the schedule below and sign up for a semester. Iyengar Yoga Level 2 Tapanilan Erä 6:40 to 7:55 P.M.
Iyengar Yoga Level 3 Tapanilan Erä 7:55 to 9:10 P.M.
Students should have at least 1-2 years of experience with Iyengar yoga before joining these courses. Please contact me if you have any questions (timo@timokurviyoga.com). Registration for both courses opens August 9th. You can register through the Tapanilan Erä website, phone number: 029 1934200, or in person at Tapanilan Erä’s office between the hours of 8:30-16:30. The Fall semester begins on September 3rd. The last day of classes is December 10th. This course requires at least 1 year of prior experience with Iyengar yoga, preferably 2. Please contact me if you have any questions about joining the course (timo@timokurviyoga.com). 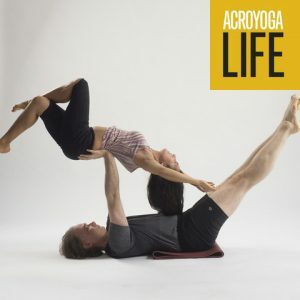 Learn to fly with AcroYoga! 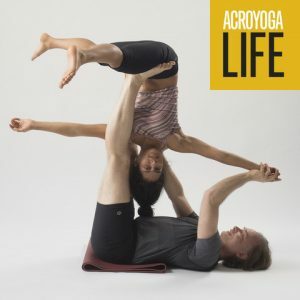 AcroYoga blends the wisdom of yoga, the dynamic power of acrobatics, and the loving kindness of healing arts. These three lineages form the foundation of a practice that cultivates trust, playfulness, and community. You need no prior experience with acrobatics, massage, or yoga, just a joyful mind. Time: Wednesday nights from 5:15 to 6:45 P.M, August 29th through December 12th, 2018 (no class during fall break October 17th). – Hold a hand stand for 30 seconds against a wall.